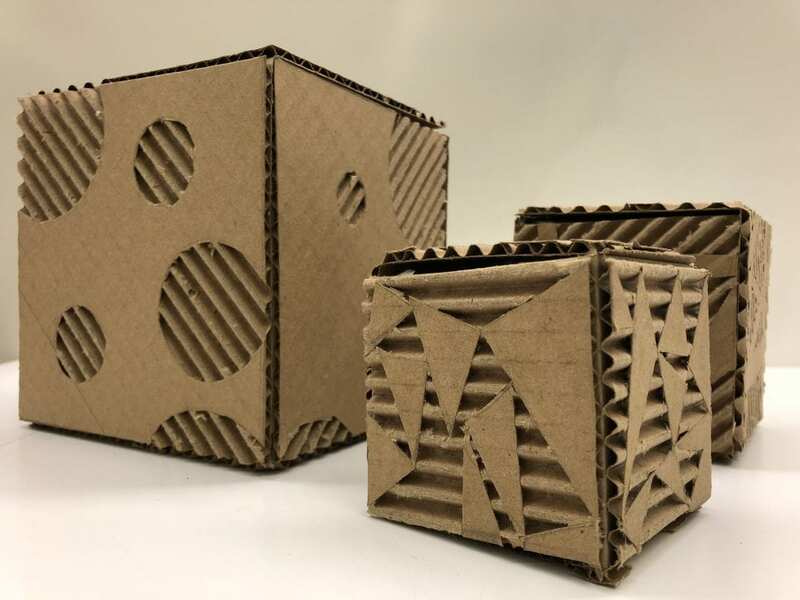 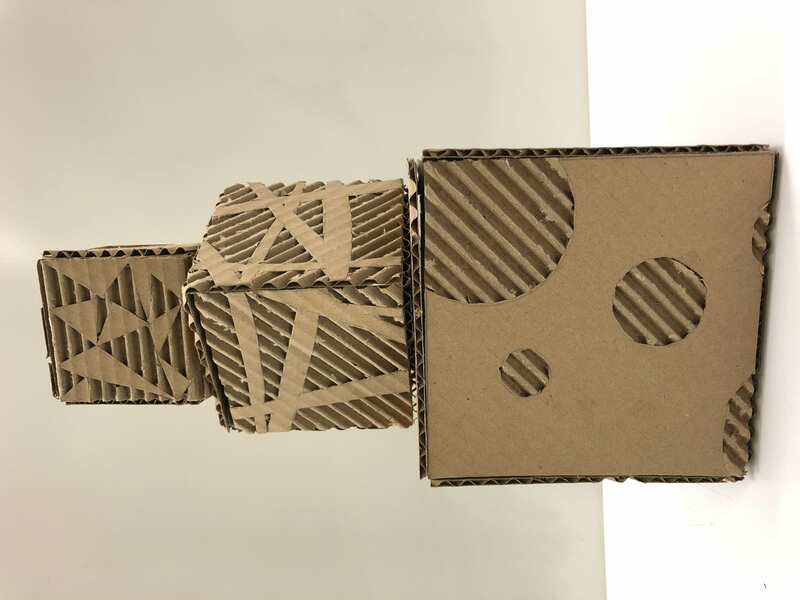 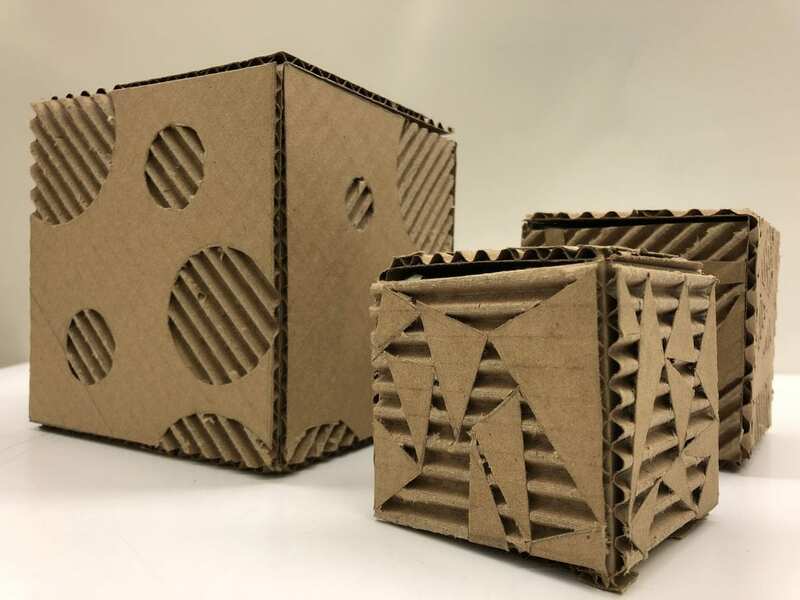 For assignment 12, we were tasked to make cubes out of cardboard and texture them by scoring and cutting. 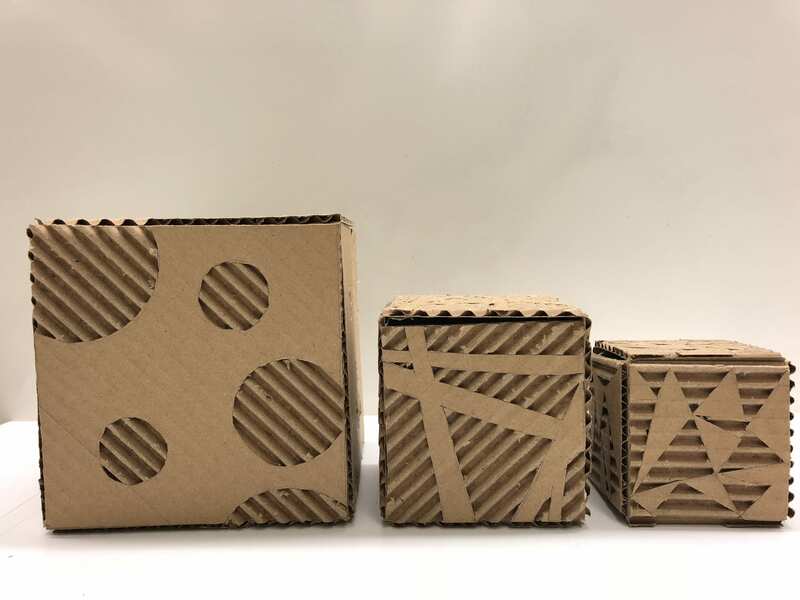 I chose to make a circle pattern, a line pattern, and a triangle pattern. 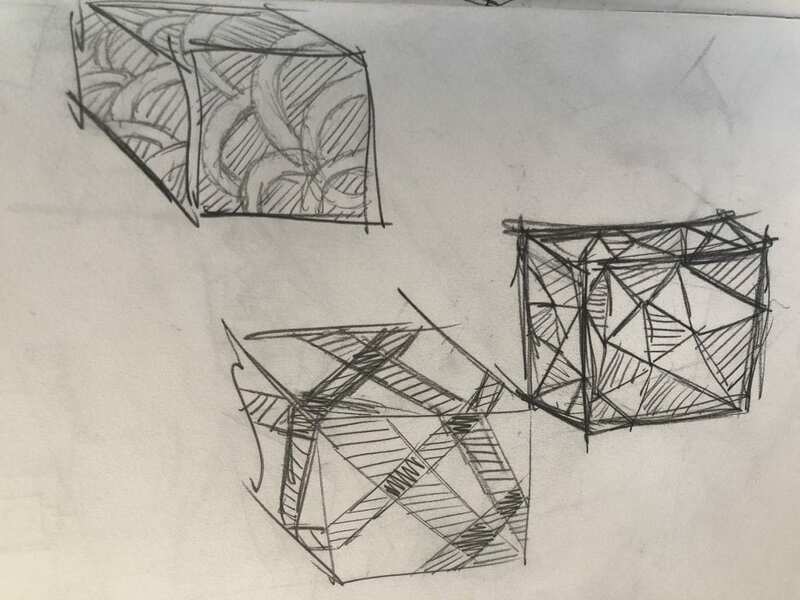 For some designs, I cut out the shape, but for others, I cut around the shape. 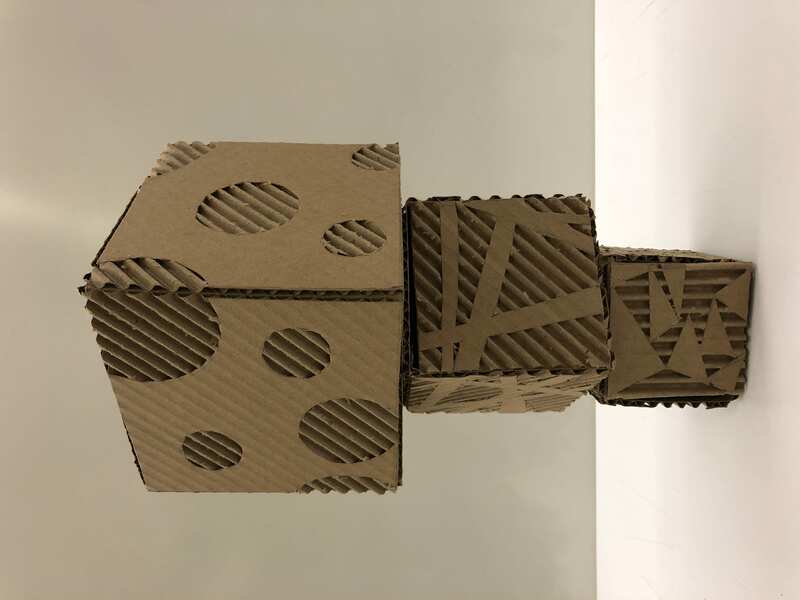 I also chose different angles to cut out the cube net so that the perforations would go diagonal or horizontal. 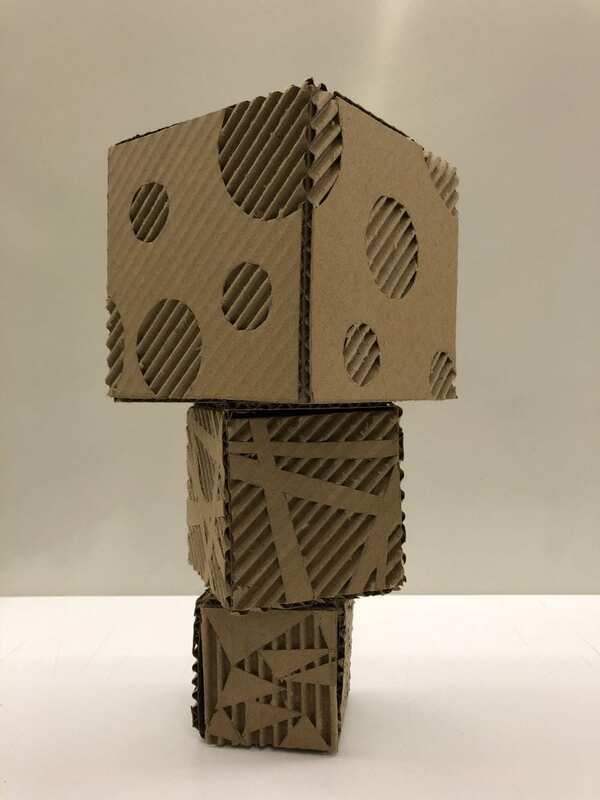 After completing the three cubes and finishing each pattern, I appreciate the versatility of cardboard more. I also understand the impact of scale better because many patterns could only be successful because of their proportion to the box and the perforations. 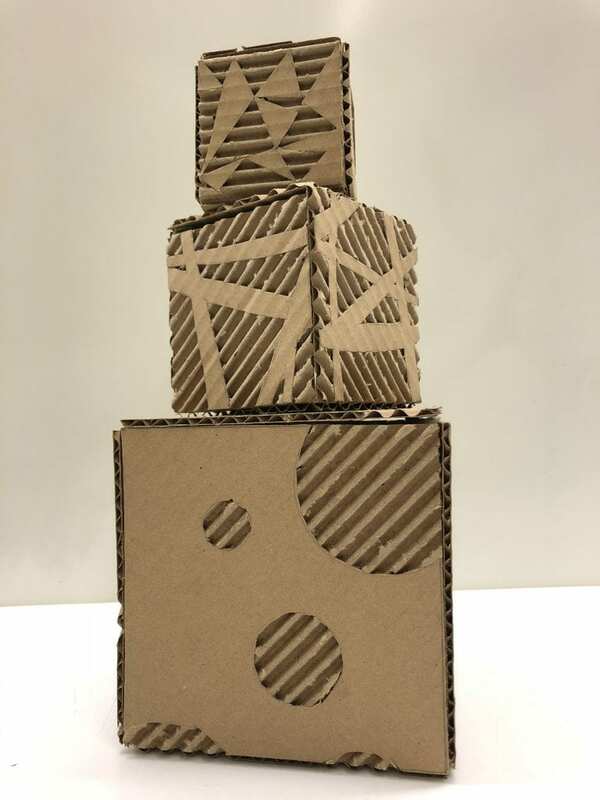 In the future, I would also account for the width of the cardboard better so that each face can lay more flat.